Who’s This sound like? Pryi had (Enty)sponsors for her wedding. They went out for 4 months, that doesn’t sound too much like a Hollywood marriage agreement. I think they are both talented people and didn’t need to go this route, but I’m old fashion what do I know? Wait for the crush to wear off first. 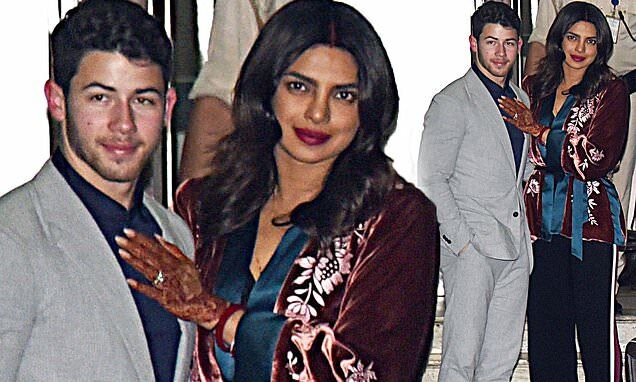 Priyanka Chopra, 36, and her new husband Nick Jonas, 26, arrived in Mumbai on Thursday, after their wedding reception in New Delhi on Tuesday. Next Article Eden Confidential ~ the Jaguar is back!